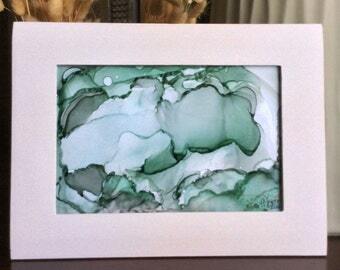 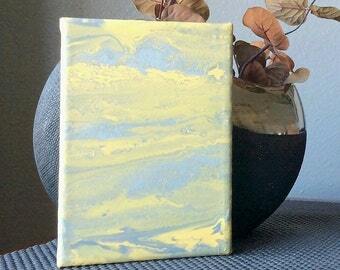 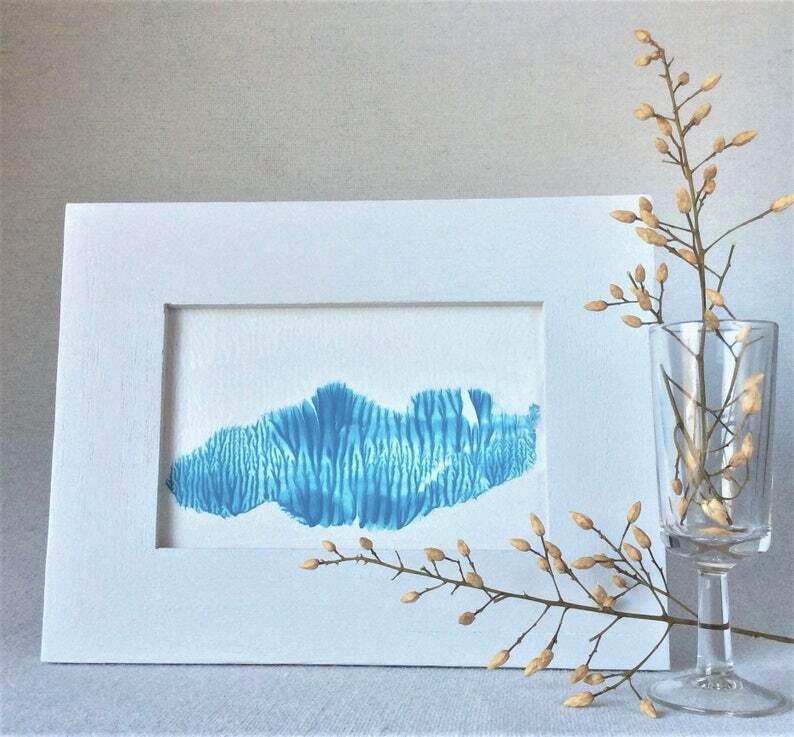 A spark of originality with a pop of teal blue describes this small desktop fluid abstract painting perfectly! 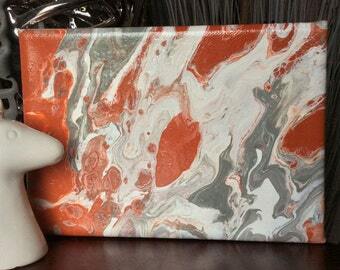 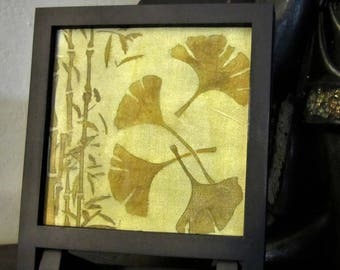 This conversation starter original one-of-a- kind is certainly gift-able in the strongest sense. 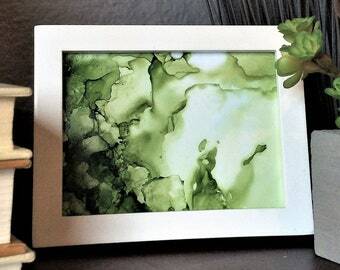 A thoughtful and mindful piece. 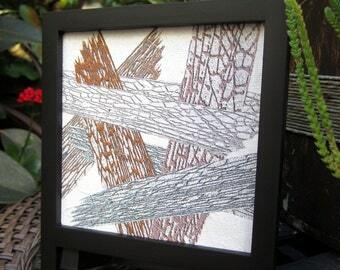 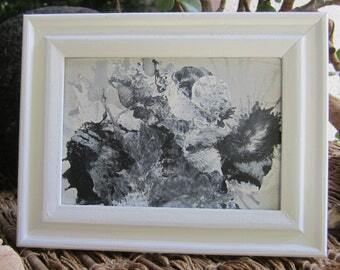 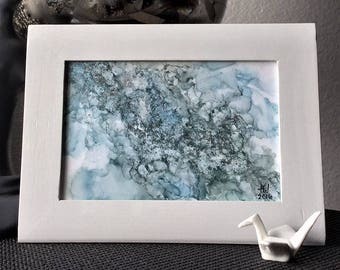 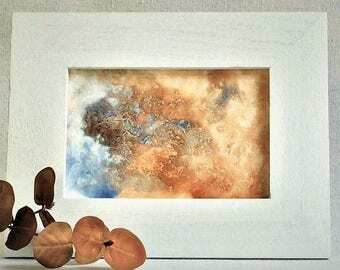 Framed in rustic white and designed for tabletop, or wall display, this abstract art creates a unique gift for a friend, co-worker, loved one or for yourself. 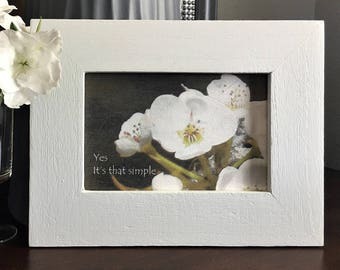 Perfectly comfortable hanging in a dorm room, a child’s room, or sitting on the mantel, desk, bedside table, small nook, coffee table or office setting, and YES, it’s ready to ship! 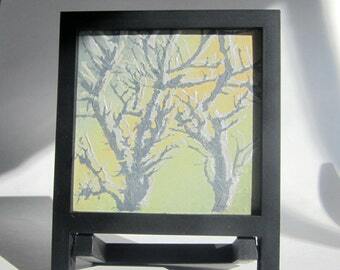 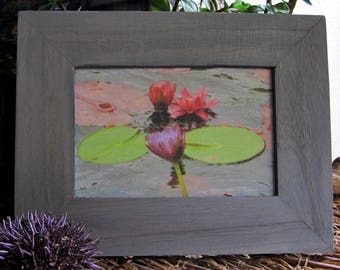 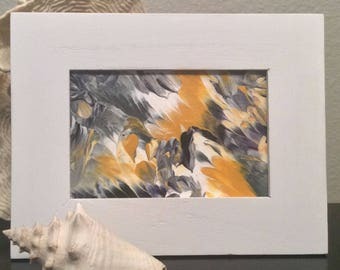 for visiting The Smallest Thought ~ for your interest in handmade art and for this opportunity to share my peaceful reflective small creations with you. 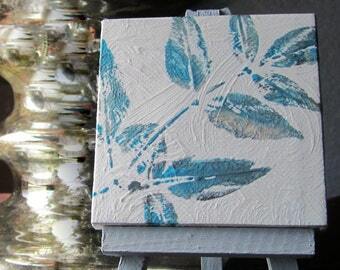 Very responsive to messages and all comments and questions are welcome.